https://www.popsci.com/polar-freeze on July 10, 2017. Are We Doomed To Arctic Winters In America? Let's all move to Miami. There's an unwelcome guest on your doorstep, America. It comes from the north, dragging frigid air and awful commutes like a terrible shroud over the continental United States, from the Rocky Mountains all the way to the Atlantic. While the East Coast saw temperatures about 10 degrees below average Friday, snow hit much of the Midwest following a 40 degree drop over just a couple days in Chicago, and a region stretching from Denver to Montana saw sub-zero chills and record lows. This morning, in the stairwell of an apartment building, even New York City's relatively mild mid-30s weather prodded a father into a shouting match with his weeping child: "But I don't want to go to school today! It's too cold to go outside!" "Put your coat on, now!" And in the halls of climate research centers and weather stations across the nation, the cold snap is spurring a more technical, but no less divisive debate — one that matters to millions of Americans who remember the last awful winter: Is this the new normal? Typhoon Nuri joins the most powerful storms on record in the Bering Strait. With nearly two weeks left before Thanksgiving, this should be a time for tweed and brisk walks through colorful fallen leaves (the autumn the Lands End catalog promised us). Instead, if you live anywhere from Chicago to Appalachia you've likely found yourself breaking out the Gore-Tex for a slog through accumulating snow and ice, with more likely coming this weekend, and its all because of a storm on the other side of the world. Typhoon Nuri formed in the West Pacific and surged north, peaking with sustained winds around 180 miles per hour — one of the strongest typhoons or hurricanes of the year. As it moved past Japan and into the Arctic it weakened, but its powerful remnants still delivered tropical storm conditions to Alaska's Aleutian Islands, Eastern Russia, and the Bering Strait. You'd think a mega storm careening off into the underpopulated Arctic would be a kind of best-case scenario, and in many ways it is. There are fewer houses and people out in those cold places, and local damage was minimal. But those sparse communities share air with the jet stream (or "polar vortex"), a muscular current of air that circles counter-clockwise high in the atmosphere between the warmer air masses of the mid-latitudes and the much colder northern reaches. Several scientists who disagree on most other issues surrounding polar vortex events (including whether "polar vortex" is an acceptable or ridiculous name for these Arctic air surges) came up with just about identical analogies for what happened when Nuri slammed into the jet stream: a taut rope snapping. All that frozen air normally locked in a tight spiral snapped south between an air pressure ridge over the Rockies and Greenland. The resulting arctic wave sunk temperatures far below average along the American continent, and they'll likely remain low for a couple of weeks. Martin Hoerling, a scientist (and according to some of his colleagues, a contrarian) studying climate change with the National Oceanic and Atmospheric Administration (NOAA), says fears of frozen winters future are fair but unfounded. He says, "If I were a member of the public I'd be thinking, 'Oh God, I barely survived the last winter and now it's getting cold again? Is this what I can expect from now on?'" But Hoerling says this pattern of typhoon-induced cold fronts is not new, it's just been given the new, scary, "polar vortex" branding. If anything, he says, the warming world will see fewer extreme weather shifts because the Arctic and mid-latitudes will be nearer in temperature. "If I were a member of the public I'd be thinking, 'Oh God, I barely survived the last winter and now it's getting cold again? Is this what I can expect from now on?'" But Jennifer Francis, a researcher with the Institute of Marine and Coastal Sciences at Rutgers University who studies the impact of Arctic warming on the global climate, disagrees. Her research predicts that as Arctic warms (and it is warming extraordinarily quickly) the jet stream will weaken and narrow. "When you have a strong jet stream it's like a thick rope. You can give one end a tug and not much happens." But as it weakens, she says, it's more like a string. A shake (or a typhoon) will send waves all along its length, causing the Arctic monster to move south more often. While Hoerling dismisses Francis's research as "pure conjecture", and points to early failures to verify her predictions, other meteorologists and climatologists look at "Weakening of the stratospheric polar vortex by Arctic sea-ice loss" and recent studies and are more convinced. James Overland, also of NOAA, says he leans toward Francis's view. "In the last five years we've seen more of the wavy [jet stream] patterns in January and December than we did before," he says. In his view, it makes sense that a warmed Arctic would break down the jet stream's regular tight ellipse. Francis acknowledges that her research does not fully account for everything that will impact this winter and those that follow. "All these are pieces to the puzzle," she says. The debate might seem academic, but its consequences go far beyond discomfort. Last year's harsh winter cost the economy billions, and revealed just how unprepared much of the country is for even slight shifts in storm patterns. More winters like the last could mean more deaths, widespread damage, and economic sluggishness. All other things being equal, meteorologists expect a weak but warming El Niño effect to render this winter a relatively mild one, though forecasters have lowered the probability from 65 to 58 percent at last measure. Hoerling, along with most other researchers, says there's no reason to expect the current cold snap to portend a trend this season. But Francis isn't so sure. Last year's harsh winter cost the economy billions, and revealed just how unprepared much of the country is for even slight shifts in storm patterns. "It all depends on what happens with El Niño — if it does form, what we're seeing right now will probably end," she says. But she says it looks more and more likely that won't happen. 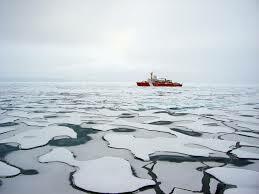 "The pattern of surface temperature in the North Pacific look a lot like last winter." And our plants take a hit. As the arctic warms, it alters weather patterns leading to more frigid winters in North America. In the winter of 2015, New York City’s Hudson River froze—a rare occurrence. Prior to the 2000s, the record shows that the Hudson froze in 1720, 1780, and 1821—a period that overlaps with the so-called Little Ice Age, when the Northern Hemisphere was cooler overall. But since the turn of the century, the lower Hudson has frozen not once, but twice: in 2015 and 2003. Meanwhile in the Midwest, the National Oceanic and Atmospheric Administration (NOAA) recorded the winter of 2013-2014 as one of the region’s coldest on record. That is the year, according to Google Trends, that the terms “Polar freeze” and “Arctic freeze” entered the public lexicon. We didn’t use those terms before because, as a new study released today in the journal Nature Geoscience highlights, we didn’t need them. More intense winters (and their increased frequency) are a new phenomenon courtesy of a warming Arctic. If the idea that both very cold and very warm winters can be linked to climate change doesn’t sound intuitive, that’s because it isn’t. To figure this out, researchers from Pohang University of Science and Technology in South Korea and from the South University of Science and Technology of China analyzed a number of datasets, beginning with those related to something called teleconnection patterns. It wasn't until 2013 that we started to talk about Polar Freezes. Climate anomalies don't happen in a vacuum, but are in fact related to each other even at great distances. The atmosphere acts like a giant, swirling pinball machine—changes in one place can trigger changes in another. We call those weather relationships teleconnections. The El Niño-Southern Oscillation is perhaps the most famous teleconnection, and though we in the United States tend to experience El Niño directly as warmer weather, the weather effects are caused by changes in the atmosphere. In the case of El Niño, the atmospheric action is what’s known as the Southern Oscillation, a periodic change in atmospheric pressure across the Indonesia Tropical Pacific. This change in pressure triggers what we think of as El Niño type weather. In studying teleconnections, the researchers recognized that as the Arctic (including Alaska and East Siberia) gets warmer, North America gets cooler in winter—a temperature change strongly correlated to shifts in atmospheric patterns. That shift in conditions, the authors found, also leads to less precipitation in the South-Central portion of the United States. “The link found between Arctic warming and continental cooling is probably not a simple cause–effect mechanism,” writes Ana Bastos, a researcher at the Laboratoire des Science du Climat et de l’Environement, in an op-ed published alongside the study. She goes on to note that the effect is likely to vary between different regions, and that a closer look could make the relationship between these climate shifts more clear. In addition to looking at how changes in the Arctic shift weather, the researchers also looked to see what those changes were doing to plant growth. And the consequences for agriculture don't look great. Cold winters and springs lead to biological stress, causing problems in plants that linger even as the temperature warms. Impacts of Arctic warming on United States crop yields. Light brown and green indicate non-significant states and white means undefined states due to the lack of crop-yield data. This isn’t just bad for farmers, it’s bad for anyone who wants to mitigate the effects of climate change, which is itself driving much of the Arctic warming. We depend on plants to absorb carbon emissions—they're what's called a carbon sink. So if climate change warms the Arctic, and that triggers weather changes that cool down North American winters and dry out our farms, the resulting agricultural problems could actually make the Arctic warm even more quickly. This study isn’t the first to find that shifts in teleconnections are leading to odd weather elsewhere. The 2010 heatwaves that hit Russia, for example, and which were found to be caused by climate change, were also linked to severe flooding in parts of India rarely subjected to rain. The message is clear: By messing with the climate, we’re fundamentally changing the weather systems we’ve come to depend upon for human survival. There are many ways to store renewable energy. A problem with Snowy Hydro 2.0 is that it won't work without a large investment in additional 'poles and wires'. 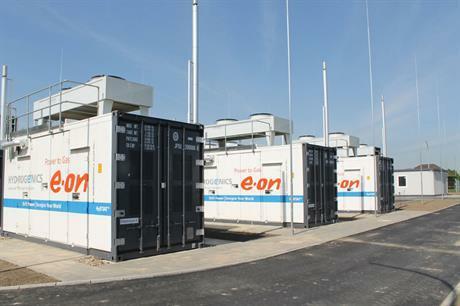 This is needed to move renewable energy to the centralised storage facility and to deliver it to consumers when needed. This very large outlay will add to already high electricity prices in Australia. Another option reduces the need for spending on 'poles and wires' and cuts electricity prices: installing energy storage along-side solar PV systems owned by electricity consumers. See Affordable reliable electricity the easy way for a discussion on this option. "50% Renewable Energy by 2030 ...The Climate Change Authority has found that for Australia to achieve its bipartisan agreement to limit global warming by less than 2°C, renewable energy will need to comprise at least half of Australia’s electricity generation by 2030." "Labor’s energy policy to deliver $200 bill shock ...Labor’s policy of a 50 per cent ­renewable energy target by 2030 would require the closure of 75 per cent of existing coal-fired power in Australia." Produce hydrogen by electrolysis of water. Use the hydrogen from the first step to manufacture methane from brown coal. The resulting fuel contains 50% renewable energy and 50% fossil fuel energy. If biomass was gasified in place of the coal, the fuel would be 100% renewable, despatchable energy. There is no need for fracking to produce coal seam gas. There is no shortage of natural gas for the domestic market. Inefficient old brown coal power stations that produce over 1,100 kilograms of carbon dioxide per megawatt-hour are replaced by efficient combined-cycle gas turbine power stations that produce only 330 kilograms of carbon dioxide per megawatt-hour. Carbon in brown coal is only being converted into electricity at an efficiency of about 25% in existing coal-fired power stations. After this carbon is used to make methane with hydrogen from renewable energy, it is converted into electricity with an efficiency of 60% in combined cycle gas turbine power stations. This change means the amount of coal needed for the same amount of electricity is cut by over 70%. Output is increased, not reduced in this option. The conversion of coal and biomass into high energy synthetic gases suitable for use as fuels focused attention on the hydrogasification reaction: C + 2H2 ⇄ CH4. Because this reaction is highly exothermic and requires the presence of hydrogen, it has been suggested that it be integrated with endothermic hydrogen-producing reactions such as the steam/carbon gasification reaction, C + H20 ⇄ C0 + H2, and the methane/steam reforming reaction, CH4 + H20 ⇄ C0 + 3H2, to conserve heat and reduce the amount of hydrogen which must be provided. It has been found that this can be done by reacting the coal or other carbonaceous material with steam and hydrogen in a hydrogasification zone to produce a methane-rich gas, passing at least a portion of this gas stream through a methane reforming zone where it is contacted with steam to reduce part of the methane and form hydrogen, and then recycling hydrogen and carbon monoxide recovered from the steam reformer overhead gas to the hydrogasification zone. Coal char or other carbonaceous solids are circulated between the hydrogasification and reforming zones to provide heat integration. Gas Vision 2050 is an Energy Networks Australia report produced on December 18, 2017. Australia’s peak gas industry bodies prepared it to "demonstrate how gas may continue to provide Australians with reliable and affordable energy in a low carbon energy future." The scope of the report is to "outline how Australia’s gas supply and infrastructure can be a national advantage as our energy mix continues to evolve." The reports author's missed the option being explored across Europe: make us of Australia’s gas supply and infrastructure as an energy storage system. This new purpose for Australia’s gas supply and infrastructure has the potential to make a substantial contribution to the economy. For instance, a proposal for a multi-billion dollar development of pumped hydro energy storage "Snowy Hydro 2.0" is years away from becoming a reality. The gas supply infrastructure can begin providing this function almost immediately. Biogas production – Biogas consists of methane and is already produced from municipal solid waste. 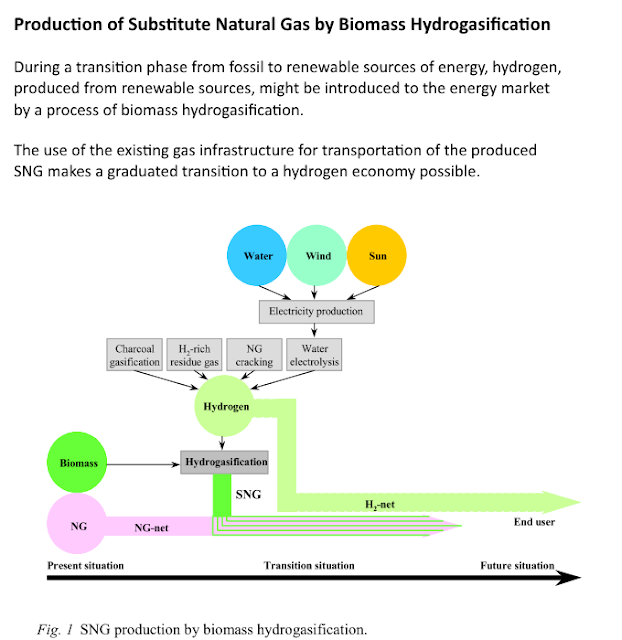 Hydrogen: Hydrogen can be produced from natural gas or through electrolysis. Hydrogen creates opportunities for clean energy for households, businesses or transport and can also generate zero emissions electricity using fuel cells or gas turbines. Carbon capture and storage (CCS) refers to the process of producing decarbonised hydrogen from gas, coal, or biogas to remove carbon dioxide from the carbon cycle. There is a fourth technology that has significant potential to accelerate decarbonisation of Australia's gas supply. So much so that the goal the report sets for 2050 may be achieved much sooner. Biogas can be produced from a great many carbon-containing materials such as farm crop waste, municipal waste, sewage sludge, animal waste and timber waste. In each case about half the carbon combines with hydrogen from water in the mixture to form methane and the remaining carbon combines with the oxygen "left over" from the creation of methane to form carbon dioxide. The result is a gas that is about 50/50 methane and carbon dioxide. The carbon dioxide needs to be removed before the methane is suitable for injection into gas supply pipelines. Hydrogen can be produced using surplus renewable energy to split water by electrolysis. This is a method of energy storage. Hydrogen may be injected directly into gas supply lines, but the proportion can be no more than 10 percent by volume. It is replacing natural gas with carbon-neutral biogas. It is storing renewable energy in the form of methane for use as required. This needn't be a permanent part of a zero-emission energy system. While battery capacity investment is ramping up, excess wind and solar power can be stored and distributed as hydrogen and/or methane in the existing natural gas system. Burning natural gas in heating appliances will eventually be discontinued, but for now, a large number of these appliances are being used. It will be some time before they are all replaced. Small distributed gas-fueled electricity generation can be up to 60% efficient. These do the job that batteries and pumped hydro will eventually do - when enough of them have been built. Farmers can replace coal seam gas industry by manufacturing methane from crop waste that is combined with hydrogen made to store renewable energy. When there are enough batteries and pumped hydro storage to eliminate the need for natural gas energy resources in Australia, this bio-methane can be used as feed stock in chemical industries to replace coal seam gas. It can also be exported as LNG, substituting for Australia's coal and coal seam gas energy exports.